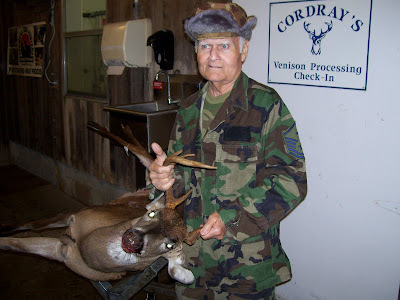 Ray Aydlett got a 5 point with 4 on one side. 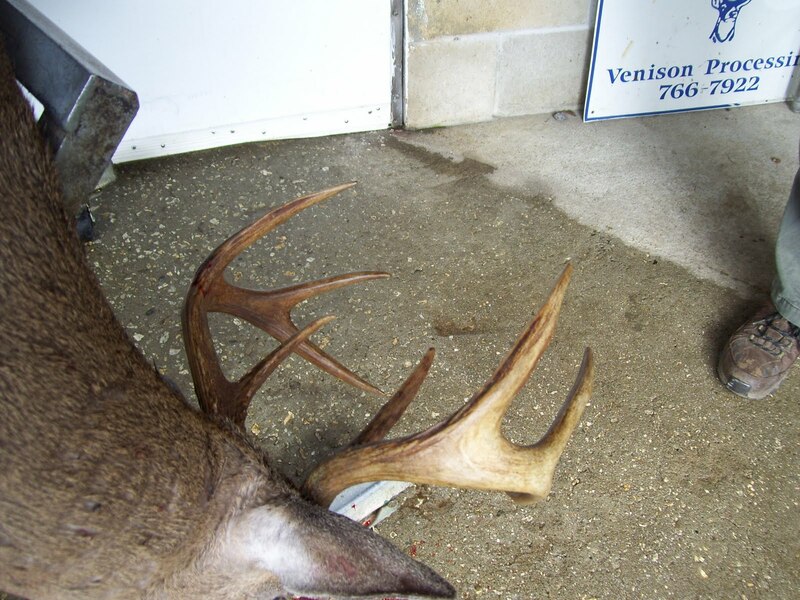 Harry Demosthenes got a big 6 point. Pick up some Certified SC Grown Cordray Farms Beef today! 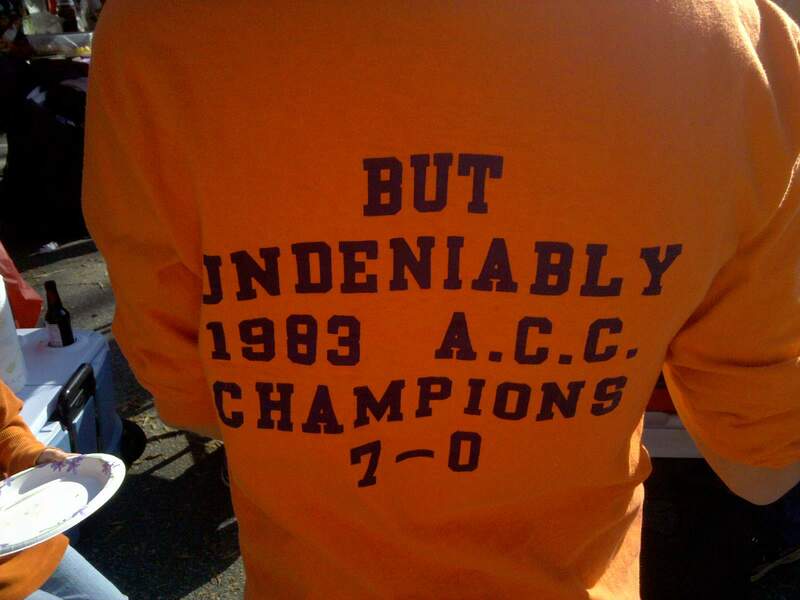 My 1983 ACC championship shirt is at Clemson's game today! You know that we are all Clemson fans here. Michael and I graduated in '79 and '78. All three of our kids and their spouses did as well. Kenneth and Kristin just graduated this last May '09. So I may not have made it to the game today, but I contributed my shirt! Just be patient with me this afternoon as I try to take orders with my fingers crossed. Cordray Farms now taking EBT cards. We are pleased to be a participant in the USDA Supplemental Nutrition Assistance Program and can now accept EBT cards for beef and pork purchases in our retail store! It's been a series of paperwork hurdles, but we are excited to be able to offer this service for our retail customers. Every week we have people who stop by and say they didn't know we have a fully stocked meat case. Help us spread the word! 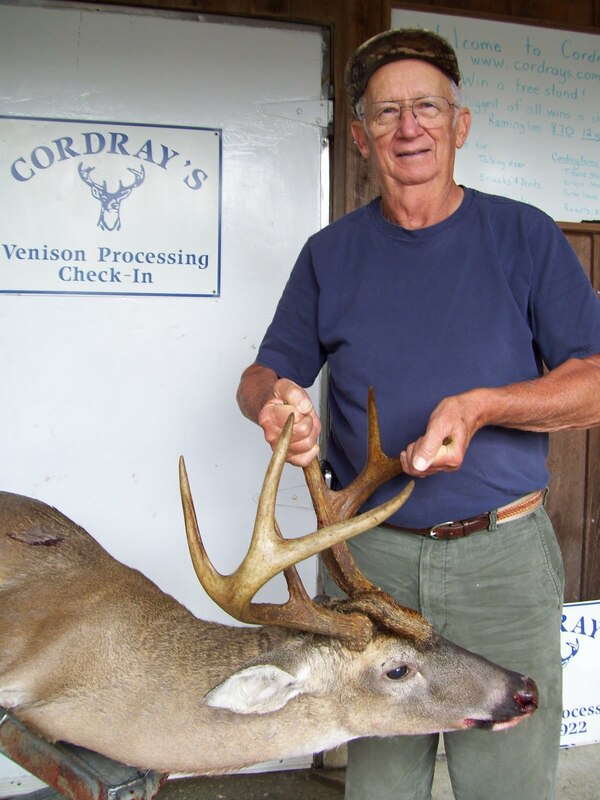 David Gregorie gets inducted into the Cordray's First Deer Hall of Fame with the help of KC Hodgkiss. 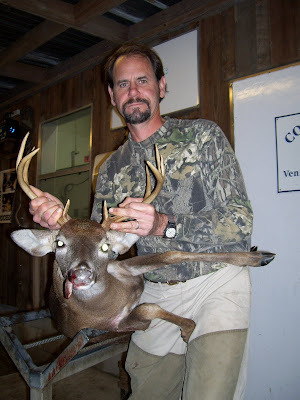 David's 4 point buck had a very different rack! Orders before Nov. 16th (except smoked hams) are ready! We're open 9 am to 9 pm. Monday through Saturday and 6 pm to 9 pm on Sundays. 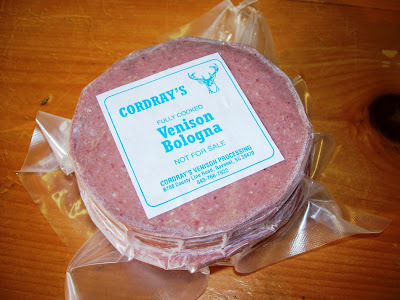 Smoked venison and wild hog ham orders will be ready on Tuesday. 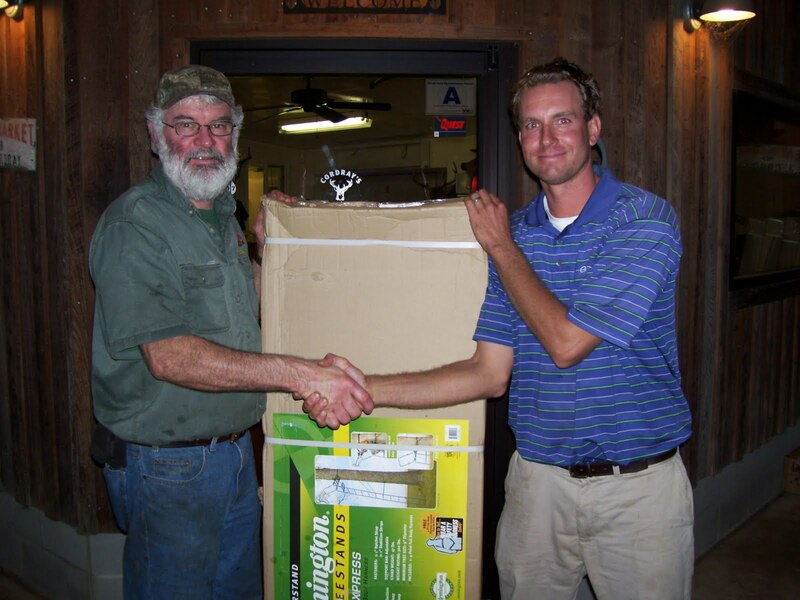 Matthew Stanis picking up his free stand! 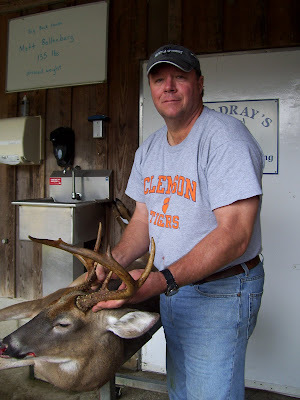 Mr. Robertson brought in an 8 point buck yesterday morning. 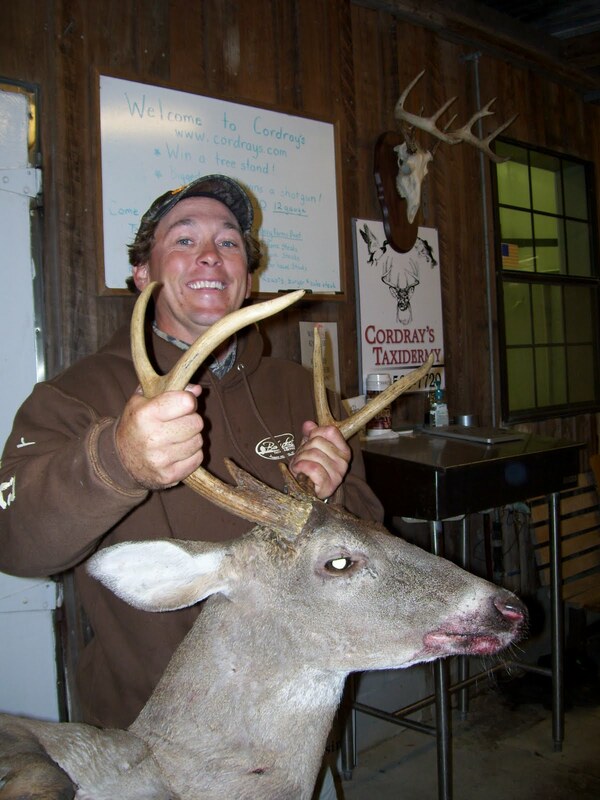 Hamer Thomas got this big buck! Meat loaf? Chili? Spaghetti? 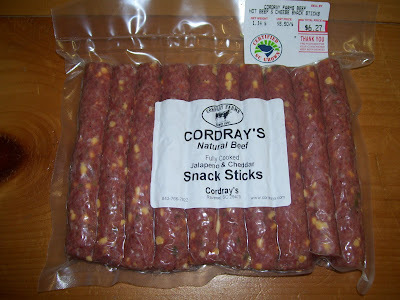 What will you make with your Cordray Farms Ground Beef tonight? I wish I had the cool Breaking News music! 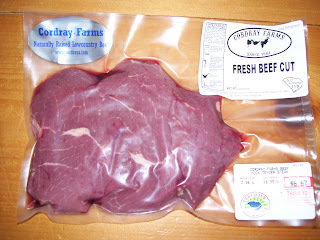 We've just loaded the case with all natural Cordray Farms STEAKS - all kinds. 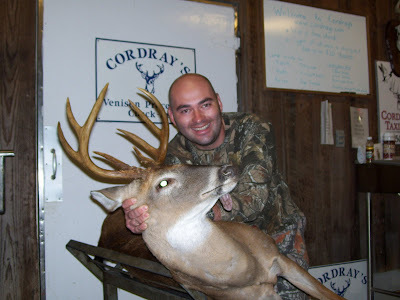 Fresh, never frozen tenderloins fillets, ribeyes, Porter House steaks, T-Bones, Sirloins and some beef back ribs! We're open 9 am to 9 pm Monday - Saturday. This year give a Christmas gift they'll really love! Buy a Cordray Farms Beef Share Gift Certificate for a share of all natural local beef for everyone on your Christmas list and this year you'll be giving a practical, healthy gift everyone will love! All our beef is born and raised on our farm. We never add growth hormones or antibiotics. They are kept on pasture throughout their lives. We grind all our own feed we get from local farmers. Cattle are butchered at a federally inspected local plant and then return under our watchful care to dry age in our coolers for about 21 days. At the peak of tenderness and flavor, we cut them into serving size portions, vacuum seal, and freeze them for lasting freshness. Every bite is carefully handled under our careful supervision just for you! A Cordray Farms Beef Share is 1/8th of a steer. Everything comes vacuum sealed and frozen. It will fill a medium size cooler. Beef Shares are usually $4.95 per lb. and average $250 to $275 each. 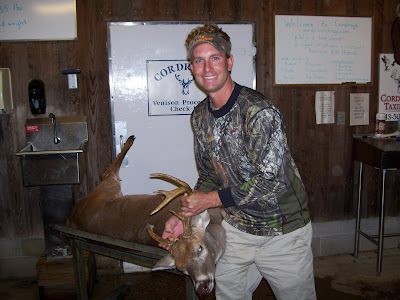 For this special Cordray Farms gift certificate, we'll be charging $250 for shares guaranteed to weigh at least 51 lbs. Call in to place your order and we'll mail the Cordray Farms Beef Share Gift Certificate when and where you prefer. All orders will be picked up at our farm. We'll contact your recipient and arrange to meet them on the farm for a convenient pickup time. Reserve yours today! Our quantities are limited, so order early to be sure to get your Share. 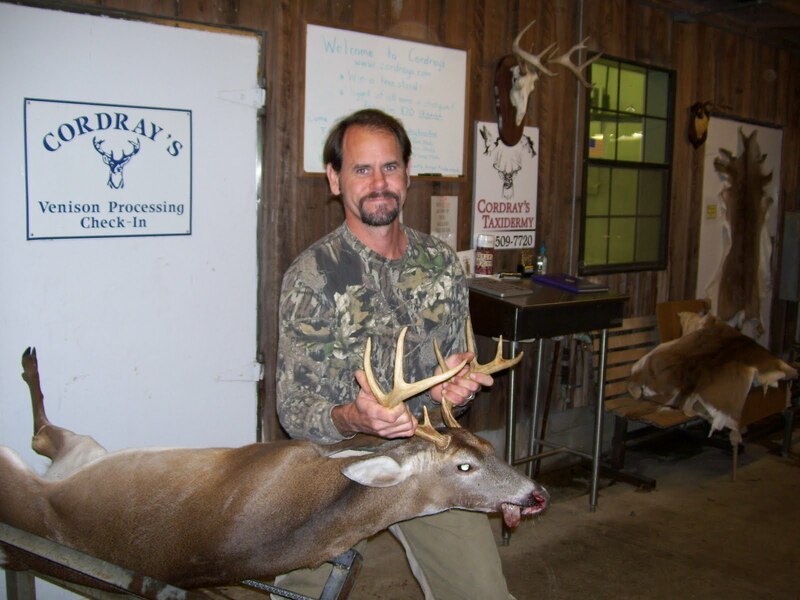 Congratulations to Kenneth Cordray for achieving Level 1 Deer Steward certification from QDMA! Kenneth earned this certification through QDMA, Quality Deer Management Association. His name is listed in December's Quality Whitetails magazine. According to the QDMA site: Deer Steward I provides students with a comprehensive understanding of the key principles of deer and habitat biology, ecology and management. Congratulations! 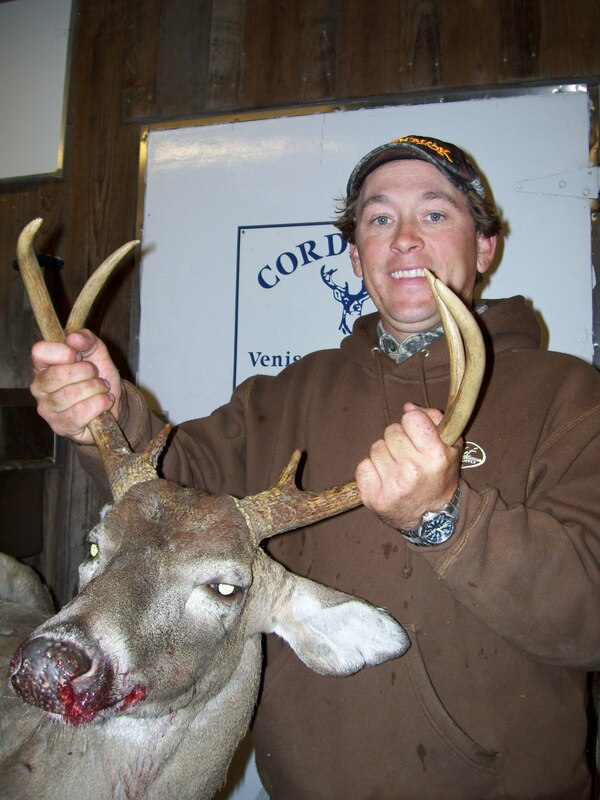 Mathhew's buck had a dressed weight of 107.8 lbs. 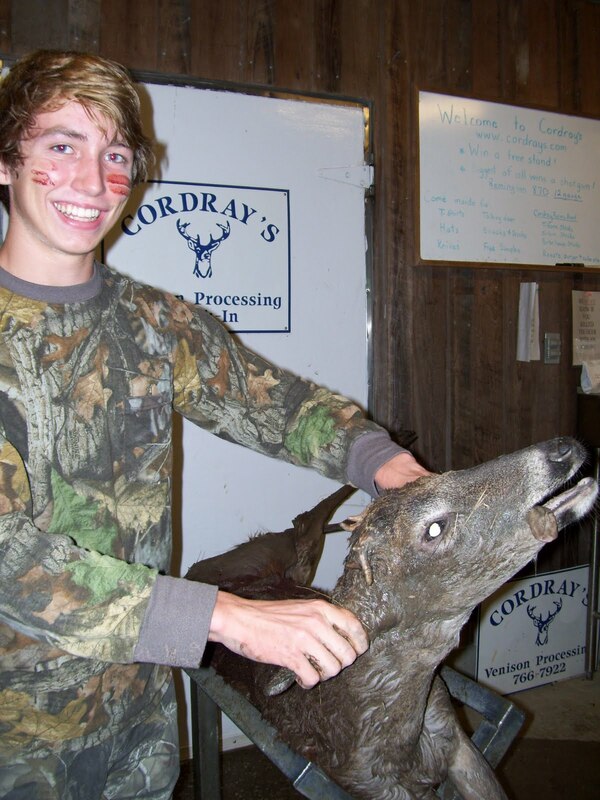 Pick up a new skinning knife at Cordray's! 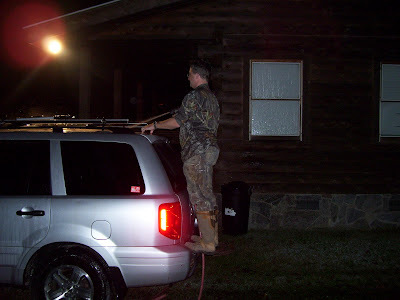 Today I had another call verifying the gator pictures. This one was from a restaurant in Seattle. The restaurant's called Casper's Taste of the South. They advertise, "Put South in your mouth!" Makes you realize how lucky we are! THANKS! 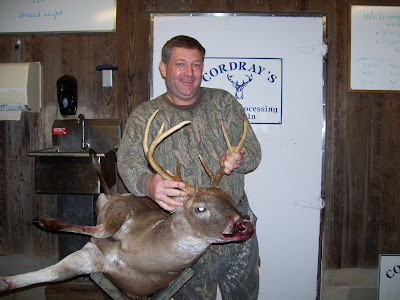 Thanks to all of you for visiting the Cordray's blog. We've had 50,000 visits since April! Taking orders now for 2 Cordray Farms beef sides. Will be packaged and ready for pick up the first week of December. 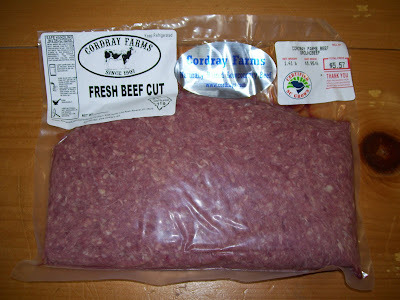 We have 2 beef sides (1/2 of a cow, about 300 to 325 lbs precut weight) that are ready for your cutting instructions . They'll be dry aged, vacuum packed. and ready for pick up the first week of December. They're $3.25 per lb. precut weight. We'll cut them to your specifications. You can even come and direct the cutting in person if you like. If you've been thinking of a side of beef for a Christmas gift or for yourself, this is your chance! Jeremy Kimbrough brought in a 9 point buck. 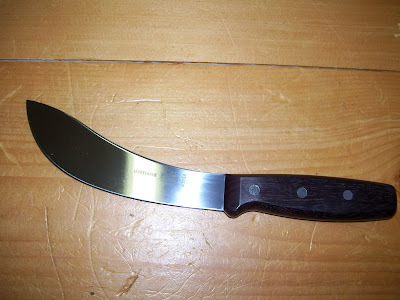 Keep your knives in top condition with a sharpening steel from Cordray's! 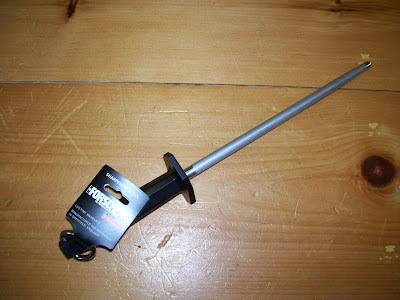 We were mentioned in another blog post from Double Tough Outdoors. They got a couple of details wrong, though. He only weighed 850 lbs. We weigh them by taking the weights of the pieces and parts as we process it. So 250 lbs. 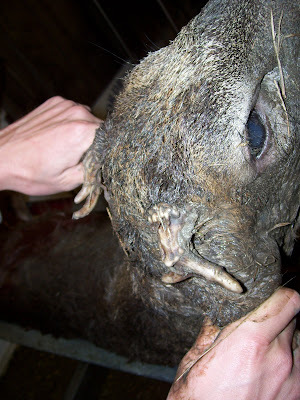 of skin, 300 lbs of meat, etc. If I remember correctly, this one's head weighed over 100 lbs. It takes two people to pick up the rug that Kenneth made. This one was 12 ft., 2 inches, but had quite a big hunk of tail missing. 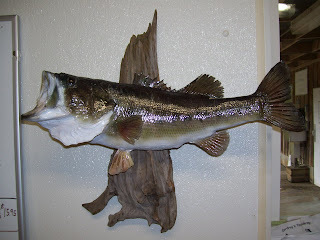 We estimate that he'd be at least 14 feet had he not received a heck of a tail bite! To read the blog post at www.doubletoughoutdoors.com, click here. 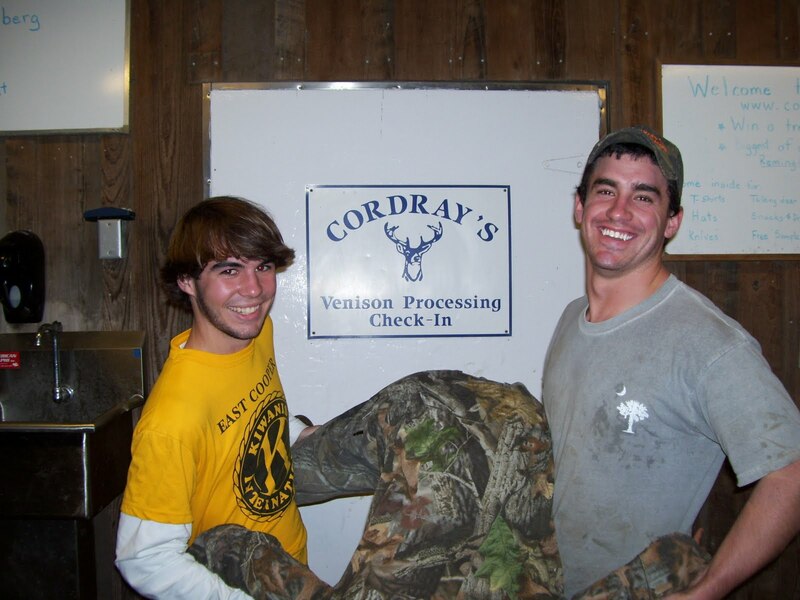 We've been keeping up with where Cordray's is making the news. Someone sent in a blog post from Andrew Rice Golf Course. Check out Andrew Rice Golf Course's blog with photos of last year's big gator. 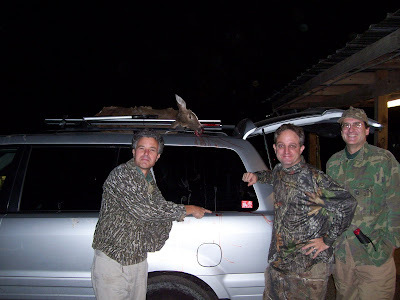 Edward Hart, Corey Turner and Dan Russler transported their deer on top of Corey's wife's car! Randy Kintner brought in this 160 lb. 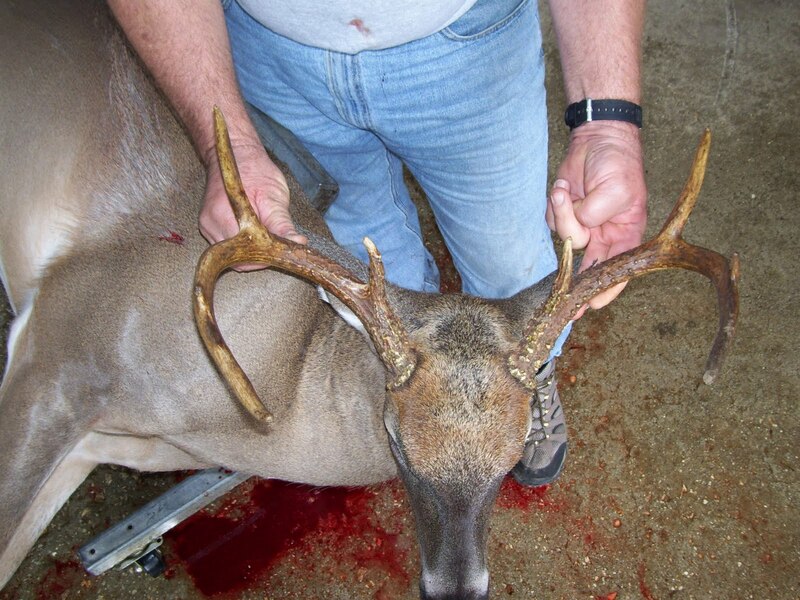 7 point buck. This a a terrific cookbook! 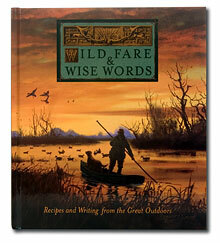 We have copies signed by the authors, Jim and Ann Casada, available in the store for $19.95. I'm going to try out the Swamp Chili recipe!